The most well known constitutional breakdowns originate from the ancient Chinese, East Indian, and Greek medicine systems. For the purposes of this article I will explain the East Indian constitutional system. To learn about the Chinese 5-phase system click here. To learn about the Greek temperament system, click here. In Ayurvedic medicine, people fall into three different constitutions, called “Doshas”: Vata, Pitta, and Kapha. VATA associated with air, space, and ether. Vata people are on the thin side, with angular features. They tend to be very tall or very short, and their complexion may have a brown or grey tint. Their symptoms manifest as cold, dry, and brittle, meaning they are susceptible to dry skin, brittle nails and hair, inflexibility, constipation, hard stools, aversion to wind and cold, insomnia, excessive thought or worry, indigestion, and arthritis. Temperamentally they display flightiness, creativity, austerity, indecisiveness, flakiness, are fairly easy-going and may have a deep spiritual practice. 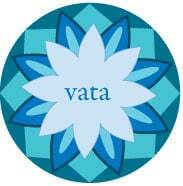 Vata types are at their finest with consistency and routine, especially in terms of eating and sleeping habits. They feel better in warmer climates, and should take extra precaution to protect themselves from cold, damp, and wet environments. When eating, it is wise for the vata person to avoid bitter, cold, fermented, crunchy, and raw foods. Wholesome, fresh, warm, moist and nourishing foods, on the other hand, will make them feel great. 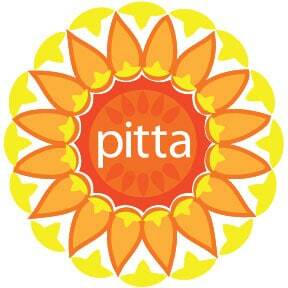 PITTA is the dosha associated with fire first, and water secondarily. Pitta people have a solid build with well developed muscles, and may have a reddish complexion. Fire and water bring heat and dampness to the system, so pittas are prone to rashes, inflammation, ulcers, hypoglycemia, loose stools, excessive sweating, foul smells, and insatiable hunger and thirst. Similar to the Greek choleric temperament, pitta folks are very fiery, materially adept, and born leaders. They can also tend to be indulgent, easily angered, critical, impatient, and aggressive when they are imbalanced. Although they tend toward exuberance, pitta types actually thrive on disciplined moderation. They feel best when they go to bed by 10 p.m. and rise with the sun. Rituals that allow their blazing fire to chill out, such as yin yoga, leisurely walks, meditation, or warm baths, are highly recommended. Pitta types should take extra care to avoid hot, humid, and stressful environments. Pittas should also avoid eating overly hot, spicy, oily, salty, and fermented foods, and would be wise to ingest stimulants and alcohol only sparingly. Instead, wholesome, moderately cool or warm, substantial, and calming foods will keep a classic Pitta constitution well balanced. KAPHA is dominated by earth and influenced by water. People with a dominant kapha constitution are the most voluptuous of the three Doshas. No matter how dark their skin is, kapha types look as though their face were being lit by the moon. Like the Greek phlegmatic temperament, kaphas can be recognized by their nurturing nature. They are calm, easy-going, and reliable folks. It may take a while for people with this dosha to absorb information, but once they do learn something it is not easily forgotten. 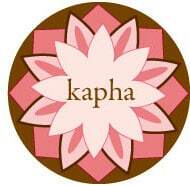 Stimulation is what keeps the kapha individual balanced. Though they’d much rather stay home, it is best for kapha types to make it a point to have a daily habit of some sort of vigorous activity, such as jogging, biking, rock-climbing, kickboxing, or vinyasa yoga. Instead of taking it easy, kapha types also thrive when they get out of bed at dawn and try out new and invigorating experiences. When they eat, kapha types should emphasize wholesome, light, warm, pungent, and stimulating meals. Conversely, it would be wise for them to avoid cold, oily, rich, and excessively sweet, sour, or salty foods. Lastly, it is best when kapha types take extra precaution to protect themselves against cold, damp, and wet environments. I think I am suffering from hypoglycemia, because now a days I start getting perspiration and feel weakness in both the arms near the shoulder joints and I have to eat something to get relief. I have severe acidity problem. Kindly advice some ayurvedic medicines to get rid of these problems. Hi Dilipkumar! I highly recommend seeing a doctor to get a proper diagnosis and make sure you don’t have any insulin issues. For acidity, check out this article: http://dellaterrawellness.com/prevent-and-treat-gastroesophageal-reflux-disease-gerd/, and I also recommend going on a low carb diet and increasing your good fat intake (only eat 1/2 cup of whole grain carbohydrates with every meal, eliminate gluten and dairy, and increase the amount of ghee, olive oil, coconut oil, avocado, nuts and seeds you eat).